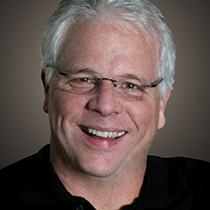 Pastor Mike Glenn explains why the local church must change and adapt if it hopes to make a kingdom difference in today's culture. When I graduated from seminary I was very prepared to pastor the churches where I went. I knew how to prepare a sermon. I knew how to lead a church business meeting. I knew how to visit a hospital. And then, everything changed! All of my study now is done on the computer. All of the books I had to carry around and stack up on my desk are now on a CD-rom and I page through them with a few clicks. I get on the Internet to see what everybody else thinks about the passage. I can find illustrations and stories from endless sources. I read emails from people around the world who have used our websites for Bible studies and for watching the worship services. People send me emails asking difficult biblical questions – I have conversations with people around the world and I never leave my desk. Everything has changed for the local church as well. The church is no longer the center of our culture. The church is no longer one of the primary influencers of our culture. We now have to see ourselves as missionaries to our culture. This means we have to study the language, customs and concerns of the people around us just as a missionary in an international setting would do. You would expect a missionary in Japan to speak the language of that country. In the same way, we have to learn to speak the language of the culture around us. Bible studies have to be rethought to prepare us for reaching the world around us. We are no longer in a Christian nation. Yet, this is a great chance for the local church to make a real kingdom difference. No one answers the questions being asked by our culture like Jesus.